Alcoholism, the most severe of the alcohol use disorders, requires treatment. Contrary to popular belief, alcoholics cannot just quit their drinking habit; the effects of alcohol have rendered them unable to control their alcohol consumption. Alcoholics can only successfully stop their alcohol dependence with professional and peer help. Treatment for alcoholism usually begins with detoxification. Detox is the process of letting the body rid itself of alcohol while managing the symptoms that occur when one suddenly stops drinking. The U.S. Natural Library of Medicine states that the withdrawal symptoms often occur about five to ten hours after the last drink, though it is possible for the symptoms to occur much later. Detox must be done at a hospital or an inpatient treatment center. Treatment programs for alcoholism also make use of medications to help patients stay sober and stay in rehab. The National Institute on Drug Abuse names three FDA-approved oral medications used in treating alcohol dependence: Naltrexone, Acamprosate and Disulfiram. 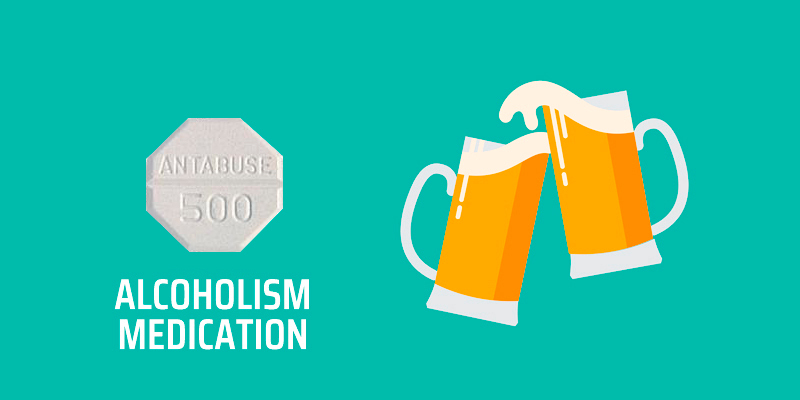 Naltrexone blocks the effects of drinking, diminishing cravings for alcohol in the process. Acamprosate decreases protracted withdrawal symptoms. Meanwhile, Antabuse (Disulfiram) makes drinking a less pleasurable experience for patients by inducing unpleasant reactions such as nausea and palpitations. Behavioral treatments are most helpful in achieving lasting recovery because these change alcohol-related expectations and behaviors. The American Family Physician names two behavioral approaches used in alcoholism treatment: cognitive-behavior therapy (CBT) and motivational enhancement therapy (MET). CBT helps patients identify and cope with drinking triggers as well as cravings, while MET encourages patients to utilize their own resources to modify their behavior. Self-help groups are also crucial in alcoholism treatment, and participation in these is most crucial after formal treatment. These are a great source of help for anyone dealing with alcohol-related problems, especially recovering alcoholics who recently finished rehab, because strong peer support can successfully prevent relapse. It is important to note that the no two treatments are the same. Every patient is unique, and thus requires a unique treatment plan to address his or her needs. If you need treatment for alcohol abuse or dependence, allow us to help you. We can assist you in your search for the best treatment. Call us and we will provide you with information, resources and rehab referrals.